Welcome to First Kiss Friday. Today I have a box set treat for you, my lovelies and a couple of sales. Check it out and happy reading! There are several stories in Meant to Be…Kissed, so you get more than one first kiss! “The Grand Gesture” by Lela Bay, takes a public humiliation and turns it into an act of heroism. Rosamund Windham, daughter to the duke, literally drops herself into a pool of filth to save an innocent and in the process befriends the girl’s brother. He stepped toward the doorway, and Rosamund pressed a hand to his sleeve. She pointed above their heads. He bent down and delivered a peck on her cheek. He reached for her shoulders and drew her close, lowering his mouth to hers with slow intensity. She gave herself over to the warm press of his lips, finding it too brief. He drew back, releasing her. He bowed and stepped away. She pressed a hand to her lips. “Sparks. “Miss Montague’s Winter Kiss” by Emmy Z. Madrigal turns sadness into hope. Grayson is a man who has lost everything, but Cecelia saves his life and rekindles his belief in love. Broken ice and traumatic losses give way to the start of something new, if only the hero can give up past hurts. “Miss Montague?” Mr. Nash called. Miss Montague turned from her friends in the parlor to face him. She blushed and her eyes grew big, as if she’d been caught doing something bad. He took her arm and led her onto the porch where they’d been that afternoon. The memory of her lips on his cheek brought heavier thoughts then he wished to explore at that moment. The emotion in his chest could not be withheld. In that instant, he loved her with all of his being. He couldn’t bring himself to say anything and so he did what any man with nothing left to lose would do. He took her in his arms and kissed her well. She gasped at first and drew back, but then she touched her lips again to his and melted into his embrace. His sense of propriety would not allow him to hold her there long, but he tasted her lips as long as he dared. When he pulled back, he looked into her eyes, trying to gauge her feelings. November 20-25th: For five days only, Tempo of Temptations by Lela Bay and Lord Harrington’s Lost Doe by Emmy Z. Madrigal will be on sale for $0.99 each! November 19-30th enter to win free Meant to Be Press ebooks. Prizes include the Meant to Be…MINE anthology, Tempo of Temptations by Lela Bay, Lord Harrington’s Lost Doe by Emmy Z. Madrigal, and The Harpist by M. M. Genet and Michele Roger. Meant to Be…KISSED is available as an ebook on Amazon. Read it for free through Kindle Unlimited, and remember to enter the raffle for other Meant to Be Press romances! Sherry Ewing kindly hosted a blog post about our new Meant to Be…KISSED release. 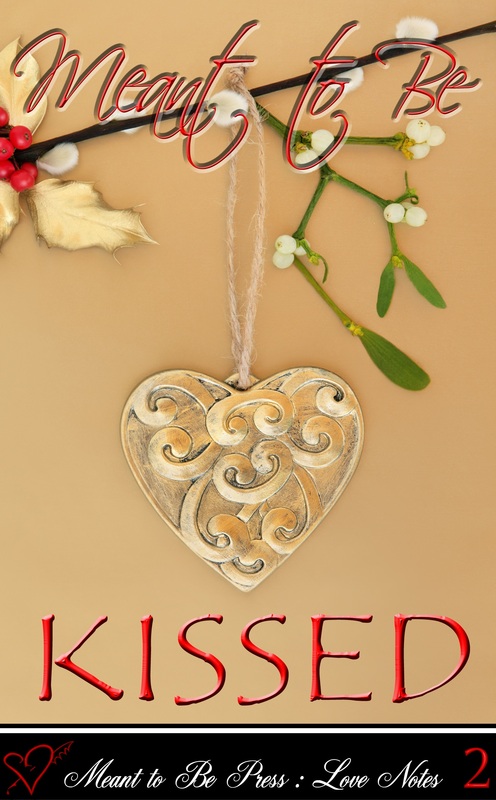 Read excerpts containing two first kisses from the collection! Reblogged this on Emmy Z. Madrigal.